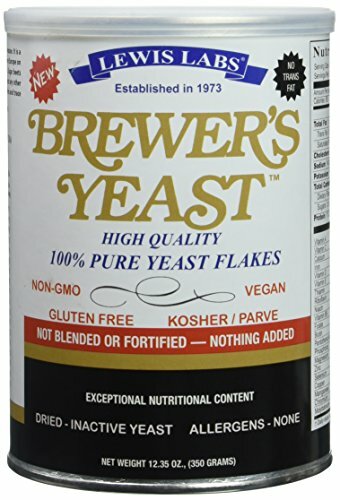 Brewer's yeast from Lewis labs is not blended or fortified, and this yeast was grown in northern Europe on sugar beet without additives or preservatives. Great tasting as is, or sprinkle on salads, popcorn, soups or cereals. Vegan, no trans fats, kosher, non-gmo and gluten free.